This luxurious villa boasts a stunning setting on the west coast of Phuket Island. 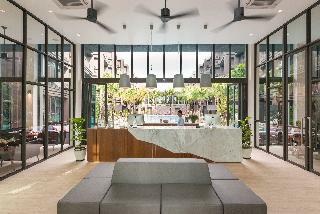 Guests will find themselves in close proximity to Rawai and Nai Harn beaches, and within easy access of the main attractions that the area has to offer. 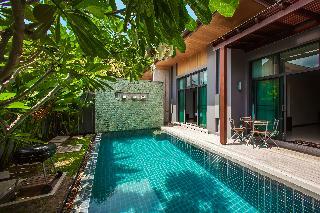 This delightful villa exudes the charm and grace for which Thai style is renowned. The villa enjoys a stunning architectural design, evoking a sense of peace and serenity. The villa boasts a host of exemplary facilities, ensuring a truly memorable stay in the lap of luxury. Guests can enjoy a leisurely swim in the private pool, as well as the convenience of a courtesy shuttle bus to the beach. This villa offers an idyllic setting in which to experience the true splendour of Thailand. All Seasons Naiharn is idyllically situated on the peaceful Nai Harn Beach in Phuket. The resort is located close to the renowned Phromthep Cape and is one of very few properties in the area providing guests with serene privacy and intimacy. Guests will find themselves within easy reach of a host of shops and restaurants in the form of the Arcade Complex with is a few minutes walk from the resort.With much of the resort rooms set against the hillside overlooking the bay and more set in low-rise bungalows throughout the lush gardens, guests will find themselves immersed in natural beauty. Offering 2 swimming pools, a health Spa centre, a gym and kids' club the resort offers fun for all the family. Everyone will enjoy the delights that the restaurant has to offer with a choice of Thai and international cuisines. This resort is perched on a hillside setting, boasting spectacular views over the lake and the ocean. Revelling in its secluded setting in Nai Harn Beach, the hotel is sure to surpass the expectations of even the most discerning traveller. 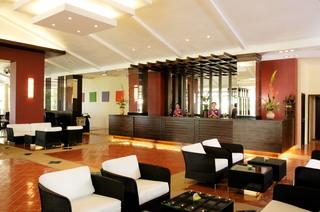 The hotel enjoys a unique design, welcoming guests with warm hospitality and excellent service. 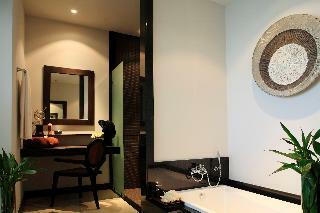 The guest rooms are elegantly appointed, bathing visitors in comfort and luxury. The rooms are well equipped with modern amenities, for added comfort and convenience. The hotel offers a range of excellent facilities and services, meeting the needs of every type of traveller. Guests can enjoy a delightful breakfast in the mornings, for a great start to the day. A luxurious private pool villa features 2&3 bedrooms which are equipped with fulll designed. Our villas offering the lush tropical garden, with other modern facilities as wood sundecks, sun loungers, deck chairs and 3.5x7 meters private swimming pool. All villas have automatic entrance controlled by remote control and 2 meters fence height to ensure your privacy and security provided. 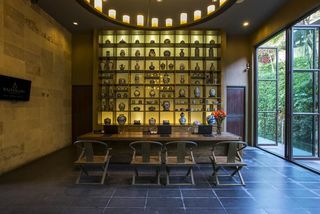 The Two Villas Saiyuan, situates only 5 minutes drive to beautiful Nai-Harn and Rawai beaches also is in secluded environment ideal for people seeking for a solitude holiday. Shanti Estate by Tropiclook offers accommodation in Nai Harn Beach. Naiharn Lake is 1 km from the property. Free WiFi is provided and free private parking is available on site.Featuring a patio, all units are air conditioned and have a seating and dining area. A flat-screen TV with satellite channels and DVD player are available in some units. There is also a kitchen, equipped with a microwave, toaster and fridge. A stovetop and kettle are also available. Towels are offered.Shanti Estate by Tropiclook also includes a fitness centre. The property also offers grocery delivery.The property has water sports facilities and bike hire is available. Car hire is available at the property and the area is popular for horse riding. Guests can enjoy various activities in the surroundings, including snorkelling, windsurfing and diving. Showcasing a year-round outdoor pool and views of the pool, Niche Villas by TropicLook is located in Nai Harn Beach in the region of Phuket Province. Naiharn Lake is 0.9 miles from the property. Free WiFi is available throughout the property and free private parking is available on site.The accommodation features a sitting and dining area. Some units include a terrace and/or patio with garden views. There is also a kitchen, equipped with a microwave, toaster and refrigerator. A stovetop and kettle are also provided. There is a private bathroom with free toiletries in every unit. Towels and bed linen are featured.Niche Villas by TropicLook also includes a barbecue. The property also has grocery deliveries.You can play pool and mini-golf at the property, and car rental is available. A variety of activities are available in the area, such as horseback riding and snorkeling.